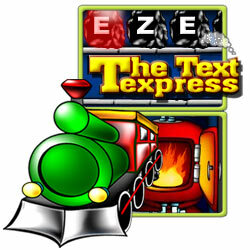 Welcome aboard the Text Express! Keep your train moving by making words with the letters. Try to reach the next station before the competitor does. The game does NOT start ? Install or Update your Java "J2SE Runtime Environment"
Click Download Now and follow the online directions to install the latest version of Java. Click Download Now and follow the online directions to install the latest version of Zylom GamesPlayer.